History and Administrative Division . 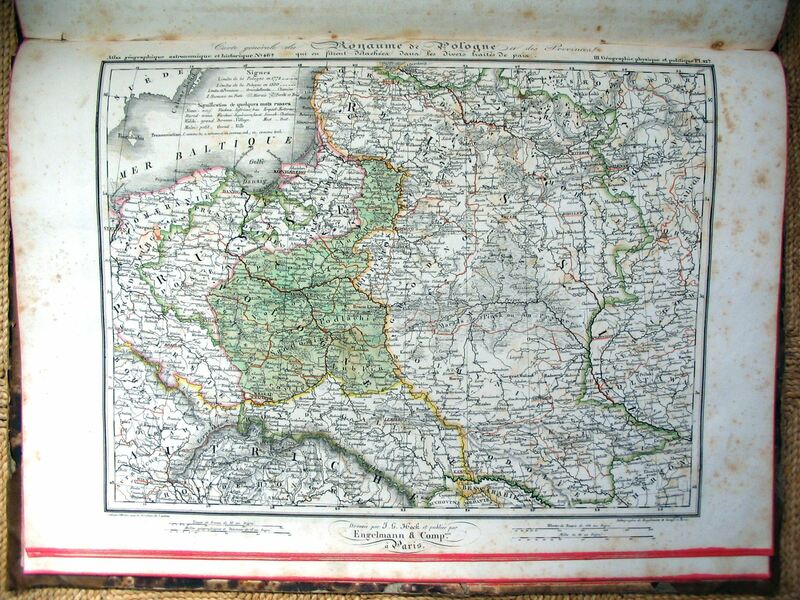 The territory of the Government of Vilna was part of the Grand Duchy of Lithuania / of Poland-Lithuania until 1793/1795, when it was annexed by the Russian Empire. Vilna Gubernia was established in 1796, merged with Slonim Gubernia in 1797 to form the Lithuanian Gubernia (capital Vilna); split in Slonim (since 1802 Grodno and Vilna (Lithuanian) Gubernia in 1801. From 1801 to 1843, Vilna Gubenia was composed of 11 districts (uyezds) : Braslav (from 1836 Novo-Aleksandrovsk), Vilna, Vilkomirsk, Zavileisk, Kovno, Oshmiany, Rossiena, Troki, Upity (Ponevezhis), Teleshevo, and Shavel. 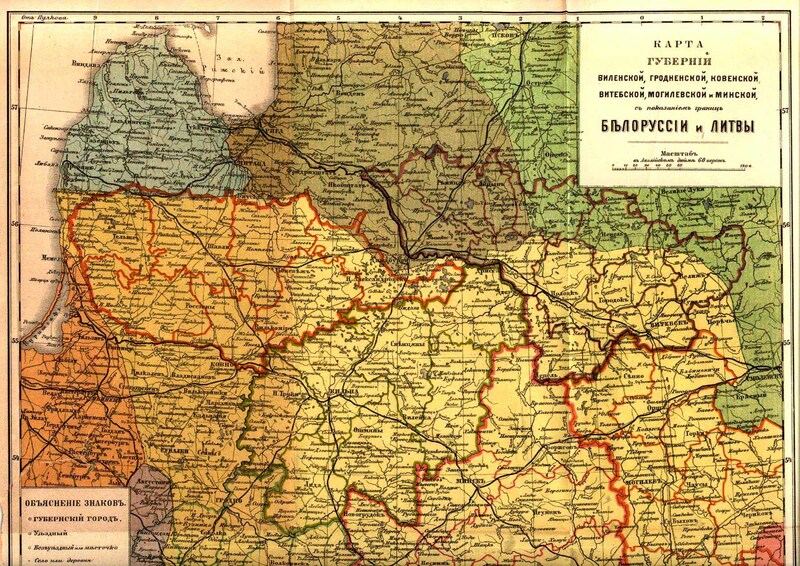 In 1843 Kovno Gubernia was separated. Vilna Gubernia gained Lida Uyezd (hitherto part of Grodno Gubernia, Disna and Vileiki Uyezd (hitherto part of Minsk Gubernia), and from 1843 to 1917 was composed of 7 districts : Vilna, Vileiki, Disna, Lida, Troki, Oshmyany, Zventsyany. Vilna Gubernia, from 1843 to 1917, bordered on Congress Poland in the west, on Grodno Gubernia in the south, on Minsk Gubernia in the east, on Vitebsk, Kurland and Kovno Gubernia in the north. The Zemstvo constitution was introduced in 1911. In the course of the dissolution of the Russian Empire, the territory of Vilna Gubernia was contested between Lithuania and Poland, with Poland taking core Central Lithuania in a fait accompli. Population . In 1906 the population was 1,806,300. Lithuanians made up 48 %, followed by Belarussians, Poles, Jews and Russians; the majority was Roman Catholic. Vilna Gubernia was affected by Napoleon's invasion of Russia 1812-1813, by the Polish Rebellion of 1830-1831, by the Polish Rebellion of 1863-1864, by World War I, by the Russian Civil War, the Russo-Polish War of 1919-1920. Economy . In 1884, 40.3 % of the area was farmland, 27.6 % covered by forest, 19 % pastorage. Grain, potatoes, forest products, beekeeping were of importance. In 1884 there were 300 factories with a combined total of 3,024 industrial workers. The leading industries included distilleries, breweries, tobacco and leather processing, paper industry (Meyer).